Beauty Unmasked is a powerful journal that guides its young adult readers through memorable short stories while igniting self-reflection and conversation. The journal boldly explores topics that are relevant and necessary for young women to discuss, such as pregnancy, domestic violence, parent-teen relationships, self-love, and faith. Designed as a tool for classrooms and mentoring groups, each chapter includes provocative discussion questions, creative writing exercises, and inspiring letters from women leaders. 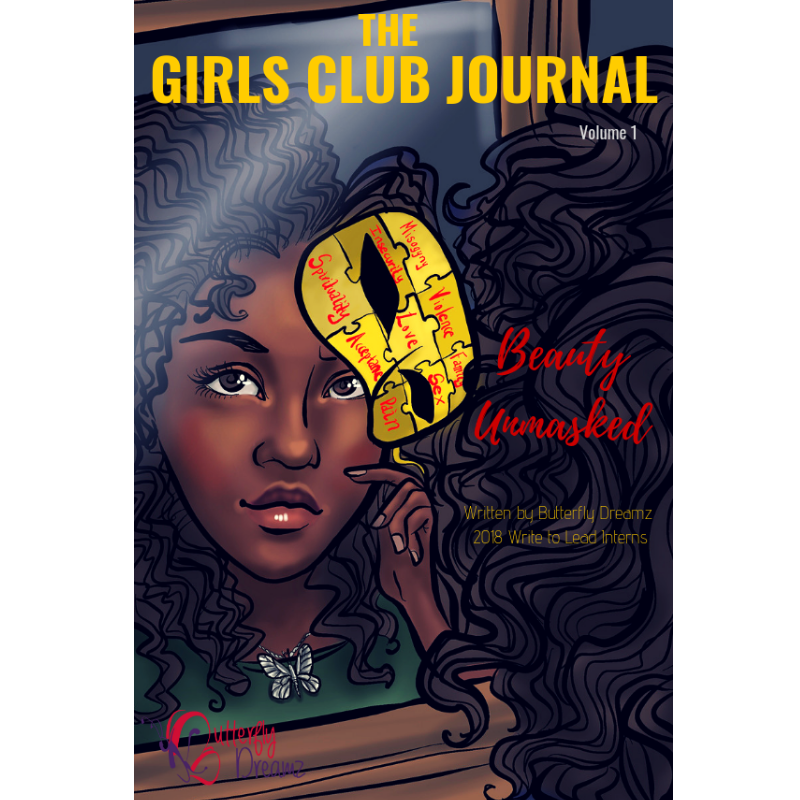 The Girls Club Journal is a must-have for middle and high school girls. It develops leadership, elevates youth voice, and encourages critical thinking. Additionally, all book proceeds support Butterfly Dreamz, Inc., a 501(c)(3) nonprofit organization that helps girls develop into women who achieve their dreams and fill the roles of leadership in this nation and world. Eight inspirational stories. Three high-school students. One historic university. Kenya, Devon, and Charlie are the lucky few chosen by Howard University—also known as the Mecca—to participate in a competitive summer program. Not only will they be judging stories for the #BisonWrite creative writing competition, but they also have the opportunity to discover whether they see a future for themselves at Howard. The HerStory Journal is perfect for mothers and daughters, mentors and mentees, or any woman/girl combination. As you flip through the pages, you'll find instructions for creative Do-It-Yourself (DIY) projects and leadership activities, including our popular "Cupcakes and Confidence" and "Purses and Purpose" projects. Short stories and poetry accompany each activity, along with perspectives on confidence, purpose, and self-love from some of our favorite women mentors! As Justice writes about her senior year in high school–leaving her boyfriend behind and a disagreement with her best friend–she discovers a collection of short stories about love, friendship drama, and difficult life changes written by a group of girls from the Girls Education Initiative of Ghana (GEIG). Will the stories from GEIG student authors help Justice solve her own life problems? Discovery, beauty, ingenuity, vitality: the words that surface as you read this memorable collection of writings by Newark's youth. In honor of Newark's 350th Anniversary, this collection features 11 student authors who sketch a vivid image of their city through powerful words, touching on topics such as history, art, poverty, mental illness, crime, friendship, foster care, and deep-rooted love for "Brick City".